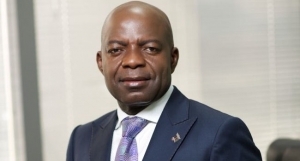 An Appeal Court has declared the candidate of the All Progressive Grand Alliance (APGA), Dr Alex Otti, as winner of the Abia State Governorship election. The court, sitting in Owerri, the capital of Imo State, in its ruling on Thursday ordered the Independent National Electoral Commission to immediately return Dr Otti, as the rightful winner of the April election, having won majority of the votes cast during the polls. In its unanimous ruling, the five-man panel of judges, presided over by Justice Oyebisi Omoleye, faulted the ruling of the Abia State Governorship Election Tribunal which upheld the election of the governorship candidate of the Peoples Democratic Party (PDP), Okezie Ikpeazu, as the winner of the April governorship election. The panel said there were established proofs of over voting and substantial non-compliance to electoral laws during the election in Osisioma, Isialangwa North and Obingwa Local Government Areas of the state and as such, unlawful votes were allotted to Dr Okezie Ikpeazu. According to the panel, after subtracting the votes from the Isi-Alangwa, Osisioma and Obingwa, the PDP candidate was left with a total vote of 114,444, while the APGA candidate had 164,332 votes and should be returned as the rightful winner of the election. The Appeal Court was filled to capacity by members and lawyers of the APGA and that of the Peoples Democratic Party to witness the final ruling of the Appellate court. Reacting to the judgement, counsels to Dr. Otti lauded the judgement which they described as a ‘landmark and thoroughly analysed judgement’ but to the PDP legal team, the legal fireworks is not over. They expressed readiness to approach the Supreme Court.